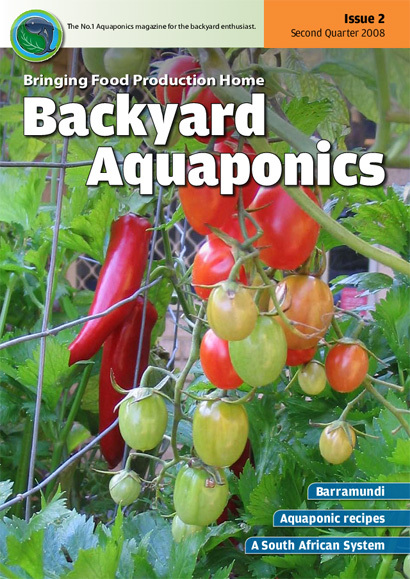 The Sixth edition of the Backyard Aquaponics magazine is packed with aquaponics information. Details about some of the articles are available below along with some sample pages. This edition is available as an electronic magazine for immediate download. The download file is a pdf file approximately 5MB in size. We take a look at the thoughts and design processes that went into the large floating raft system at the BYAP shop. This is the first part of an article and next edition we’ll look at the actual construction process. 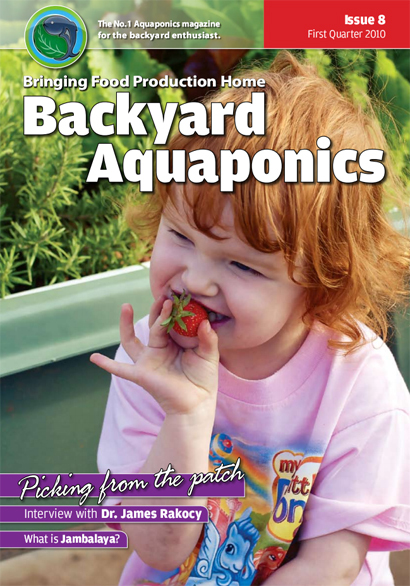 Rebecca Nelson discusses how aquaponics has become more mainstream as interest grows. We get to see inside their new greenhouse and hear about the training programs they have been running. Faye has excelled in this article with not only a great article but fantastic pictures. It’s a timely reminder about the value of bees within our environment, not just our gardens but our daily lives and in the food we eat. Rowena takes us through the history and cultures that have enjoyed eating flowers. With information about edible flower we can include in our diets now, and she’d know as her and her husband grow herbs and flowers. Dan gives us details about the simp[le system he built at his place. His system is a lined pond in the ground and one very large growbed. Yes, it might sound simple and it is, but he muses over how much food it supplies. 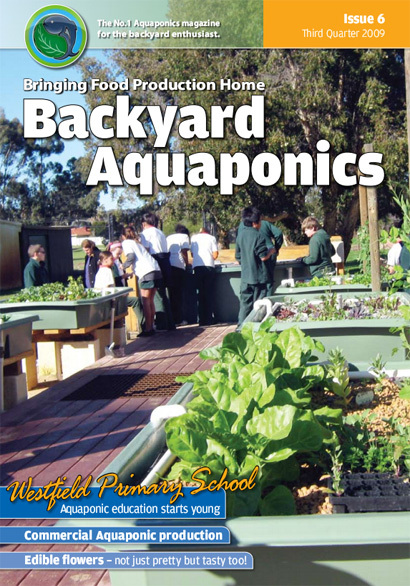 Aquaponics in Kenya Kevin looks at the role of aquaponics within poor and developing nations. Kevin has built a couple of large aquaponic systems within poor rural areas of Africa so he has seen first hand the benefits it can bring. These are just a few of the articles you’ll find in the 6th edition, below are a few sample pages to look at.